The rains still fall in Cuzco, heavily; it is the time of abundance. Fresh produce is everywhere. 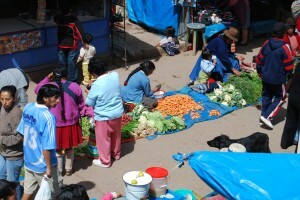 Though in the tropics and near to lowland fields where produce comes year round, still seasons matter in Cuzco. The harvest is beginning; Cuzco’s growing season is ending. In places where supermarkets rule and produce lines up in rotund or angular perfection, seasons seem not to exist. If they have not gone to rest in boxes and cans, fruits and vegetables seem always the same. 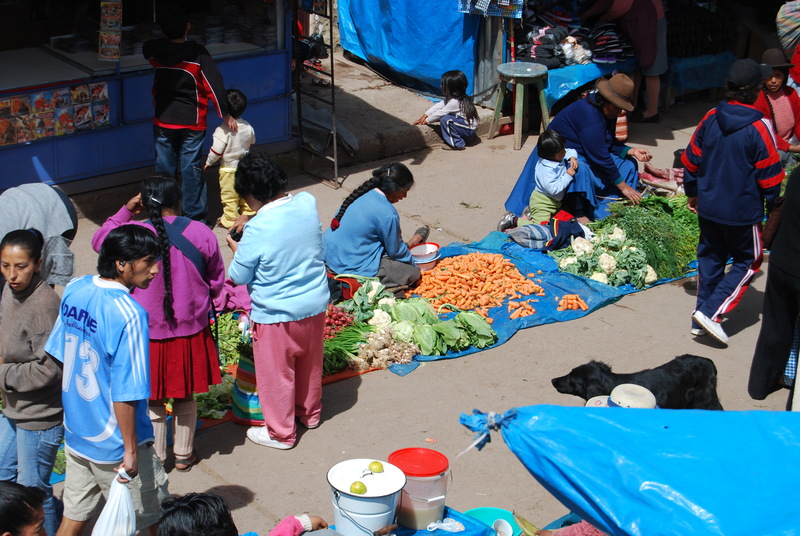 Though supermarkets are popping up in Cuzco’s neighborhoods, still seasons rule. They claim their domain through neighborhood markets where people bring the latest produce of their fields, then either wholesale it to vendors, or sit on the ground themselves, their produce laid on a stretched out cloth to sell directly to the city’s people. As result, dishes ebb and flow with the movement of seasons. Right now is the time of fresh corn. Ears still sheathed lie in piles, un clothed they rest in hot water. Corn, the sara mama, claims her day while still firm and moist, before she becomes hard and dry to be stored for the rest of the year. 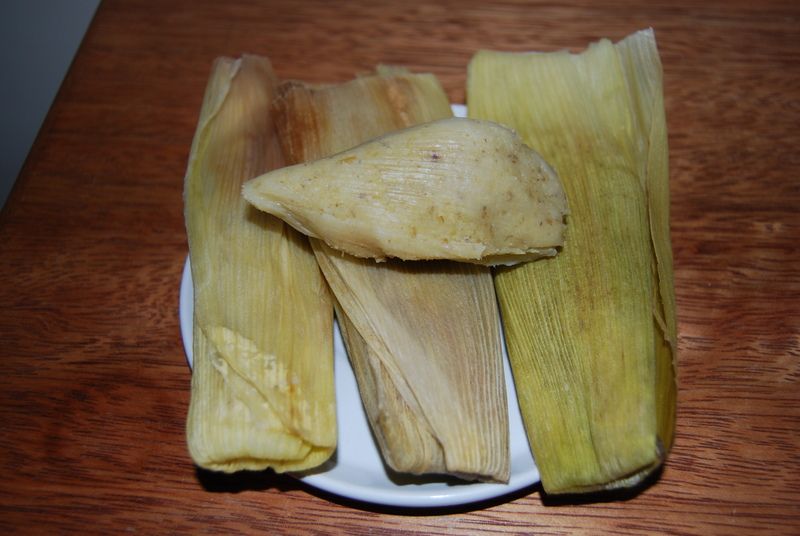 Vendors walk around offering fresh corn tamales, called humintas or humitas, probably similar to those from Inca times; Spanish chroniclers, such as Cobo, mention humintas. 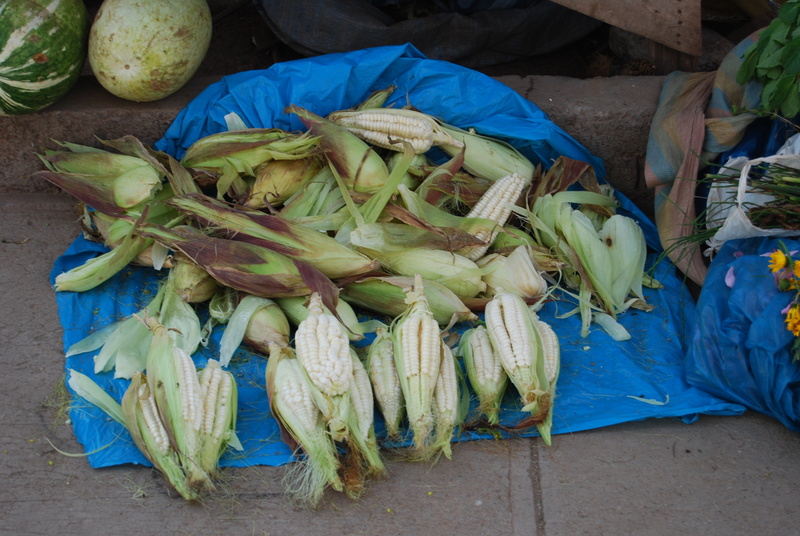 You can buy one or more, take them home to eat, or peel back the husk and eat them there, a moist burst of steamed, sweet corn dough. 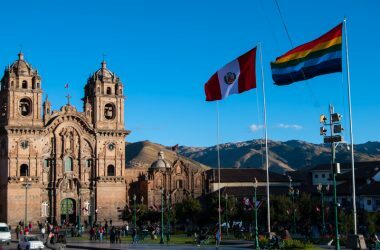 The native son of Cuzco who made good for himself in Spain, Garcilaso Inca de la Vega, remembered his childhood in Cusco in a noble Inca family shortly after the Spanish invasion. For solemn sacrifices … they made bread from maiz that they called zancu. And to eat, not everyday but from time to time, like as a gift, they made the same bread , that they called huminta. The two names are different not because the bread was different, but because one was for sacrifices and the other for simple eating. The women would grind it into flour with wide stones on which they would place the grains. They would crush it with another stone in the shape of a half moon, not round but somewhat elongated. Today this stone for grinding is called a batán and is found in many homes where it is still used. (See here for a picture.) 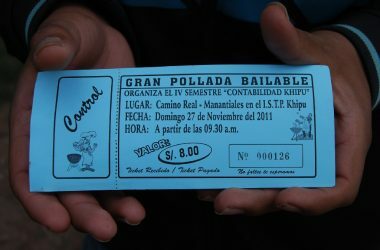 Two restaurants in Cuzco also use batán for their name. 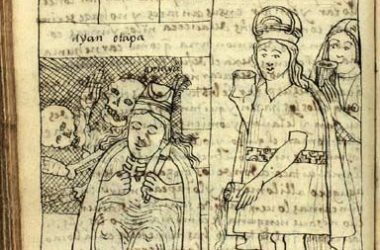 Another chronicler, Murua, wrote that in Inca times when couples would marry choclos were given to the bride. 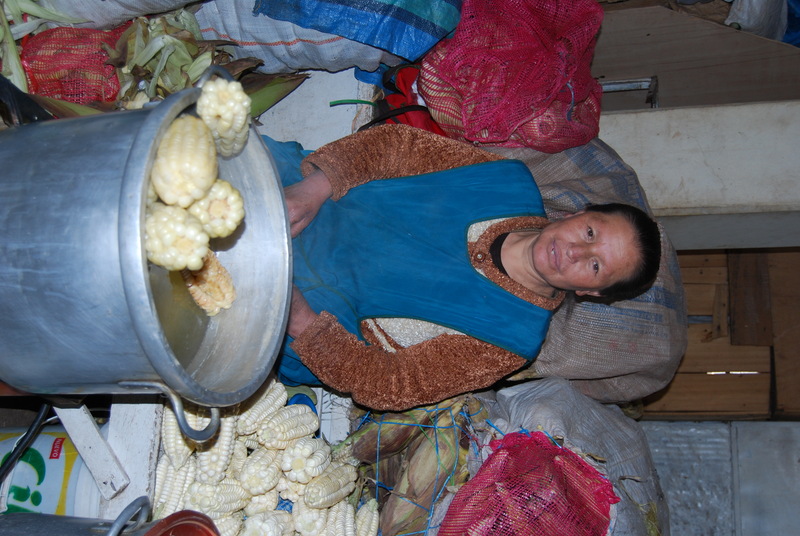 Even today, during holy week, stalks of fresh corn with the ears arrached are offered to the Saints in neighborhoods of Cusco. 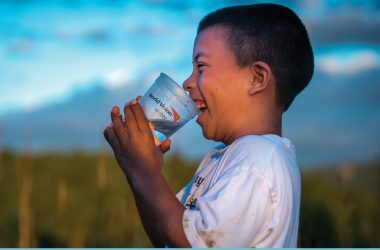 Large aluminum pots hold boiling water in the markets and on many street corners in which ears of large grained, white corn float like rare white fish, waiting to bring good fortune and abundance to those who catch them. Called choclo in local Spanish, once removed dripping from the water and placed on an open husk, the vendor will slice a chunk of salty white cheese which joins the corn to make a snack or a meal. 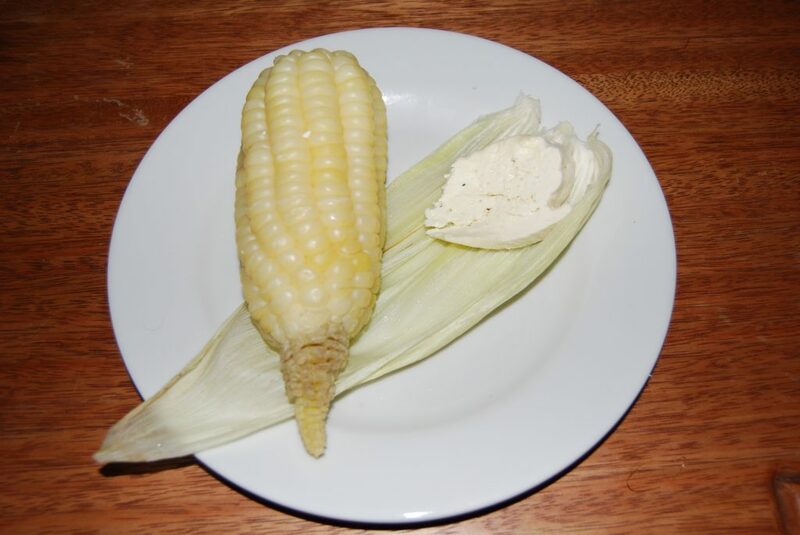 You pull the corn off the husk-plate, grain by grain, to pop them in your mouth, occasionally adding a bite of cheese. This is not the extra sweet corn common in the United States. Its sweetness is subtle and does not mask the taste of corn, rather than reminding one of honey. The cheese’s salty edge brings out the sweetness and combines carbohydrate and protein in one single dish. 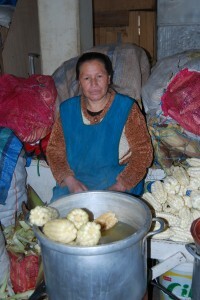 Choclo con queso, as it is called, is a marriage of Inca and European. And, it is eaten in much of Peru this time of year. Another common dish right now is a pastel de choclo, a pie of ground fresh choclo, with a filling of seasoned meat. But other foods also have reached their peak and challenge the primacy of corn. 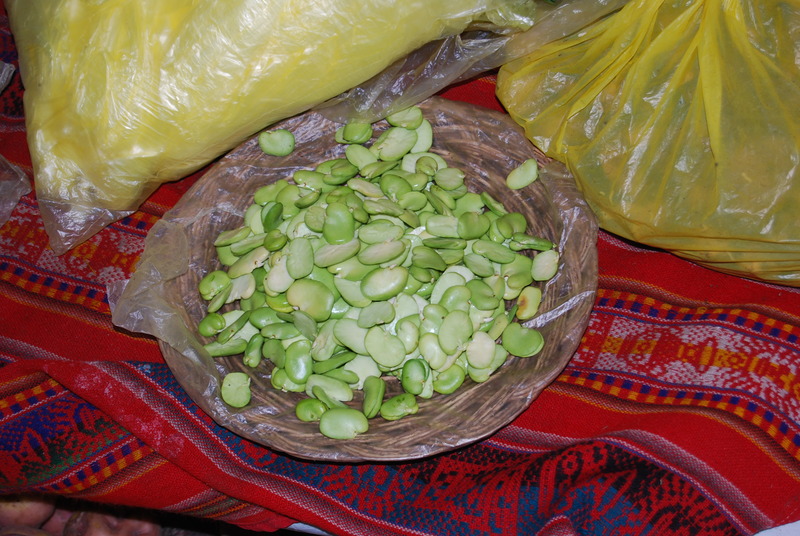 Fava beans, called habas, also fill stands and streets. They can be boiled, still in the pod, which is then opened, and the beans lifted. The flesh is popped from its additional shell right into the mouth, in a burst of herby cream. But, the fava beans are also the basis of other dishes, particularly kapchi, also spelled capchi or k’apchi. One of the traditional dishes of Cuzco, kapchi is a creamy vegetable stew involving onions, garlic, broad beans, potatoes, hot peppers, cream and cheese, as well as indigenous herbs; it is served with rice. Evidently, the name capchi comes from a word the Quechua speaking natives of Peru adopted for the milk that goes into the stew, as well as the cheese. Of course this is also a time of year when there is abundant milk and cheese. 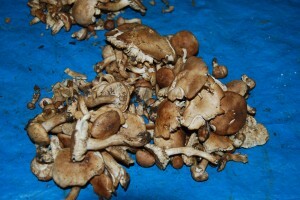 During this season mushrooms also grow with abandon on the hillsides. People collect them and bring them to market. 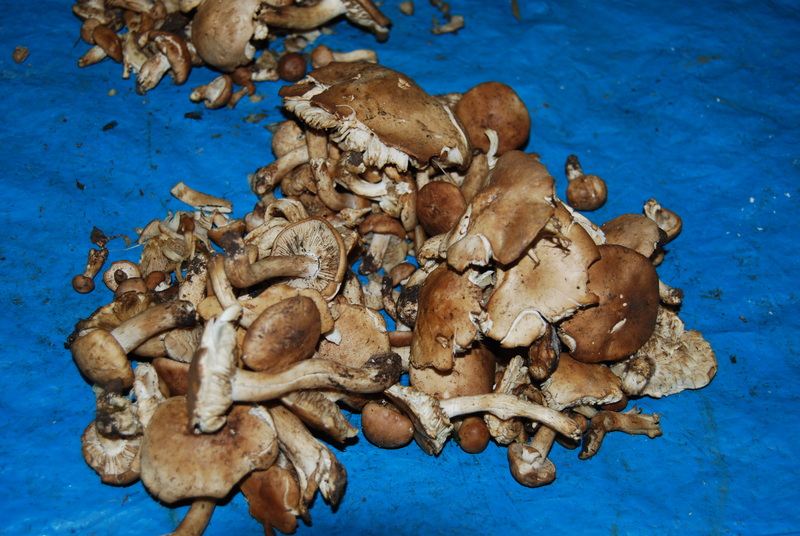 Called setas, these indigenous mushrooms are also added to capchi to make it particularly Cuzcqueño and definitely part of this season, since it is only during the height of the rainy season that the mushrooms flourish and make their way to market. Not found as a staple on many formal restaurant menus in Cuzco, these foods can be appreciated on street corners or in the many markets that dot the city. 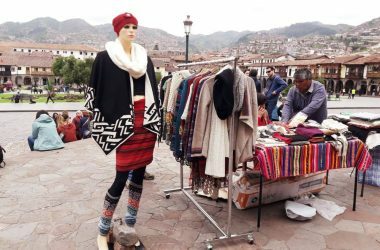 Cuzco is a place where food is pegged to a calendar of feasts and the movement of seasons. Very soon the rains will stop, the hillside brown and Cuzco will move to a different time with different food.